What is anthropology? What can it tell us about the world? Why, in short, does it matter? For well over a century, cultural anthropologists have circled the globe, from Papua New Guinea to suburban England and from China to California, uncovering surprising facts and insights about how humans organize their lives and articulate their values. In the process, anthropology has done more than any other discipline to reveal what culture means--and why it matters. 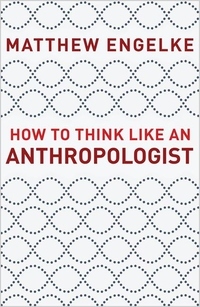 By weaving together examples and theories from around the world, Matthew Engelke provides a lively, accessible, and at times irreverent introduction to anthropology, covering a wide range of classic and contemporary approaches, subjects, and practitioners. Presenting a set of memorable cases, he encourages readers to think deeply about some of the key concepts with which anthropology tries to make sense of the worldâ "from culture and nature to authority and blood. Along the way, he shows why anthropology matters: not only because it helps us understand other cultures and points of view but also because, in the process, it reveals something about ourselves and our own cultures, too.